I count myself fortunate to have witnessed the re-establishment of Red Kites in this part of Bedfordshire. I saw the first one here only a few years ago, and it was a real event for me. Now, while not exactly abundant, they are more common. There have been times over the summer when I’ve watched a kite from the comfort of my sofa through the french windows. 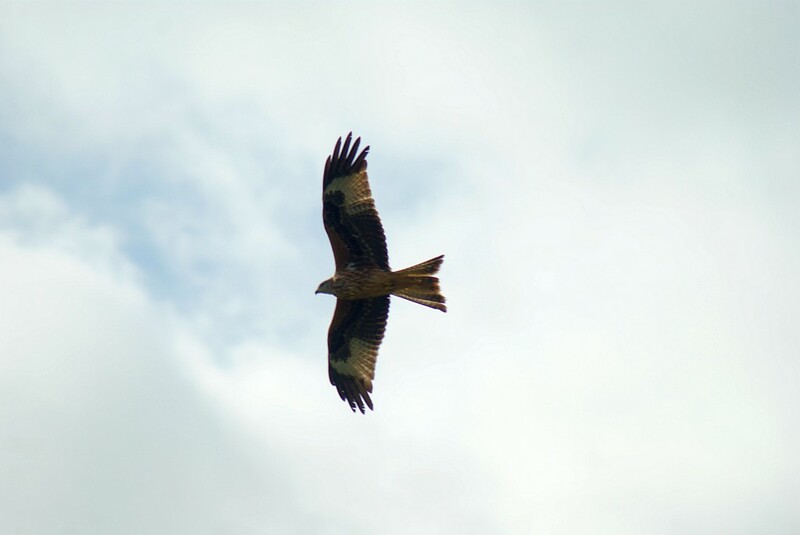 However, we’ve recently discovered a spot not too far away where you can see the Red Kites almost on demand. It’s only in one small localised area, and it’s a great example of how habitat and food availability shapes the distribution of a species. I’ll explain. We’ve recently got a season ticket for Woburn Safari Park. It’s on our doorstep, they offer a good deal on an annual ‘toddler pass’ and Scarlett is old enough now to appreciate the animals (and the indoor play area). It means I can go with Scarlett to the library on a Saturday morning and drive home through the safari park, just for the fun of it. 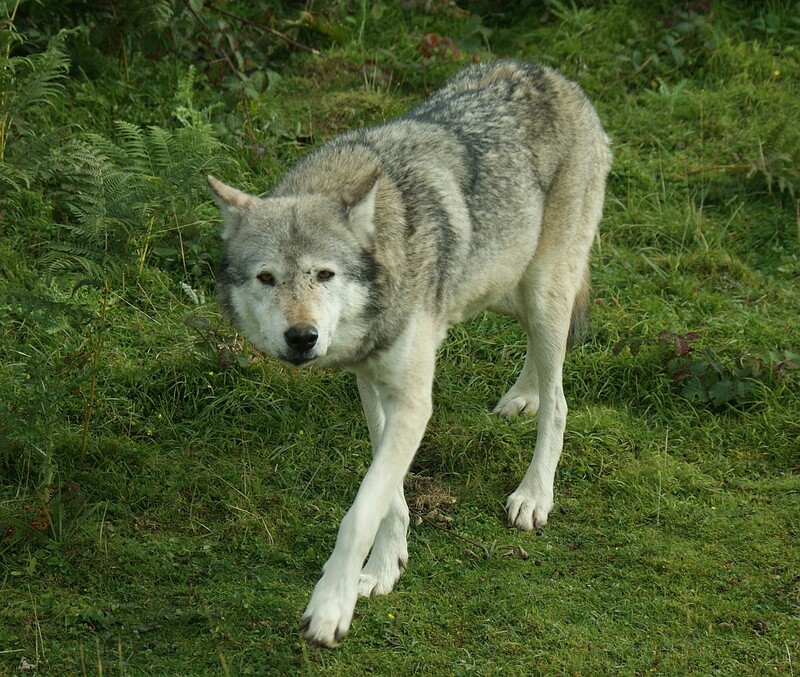 The carnivore enclosure is always a favourite, with bears, wolves, tigers, lions – and Red Kites. 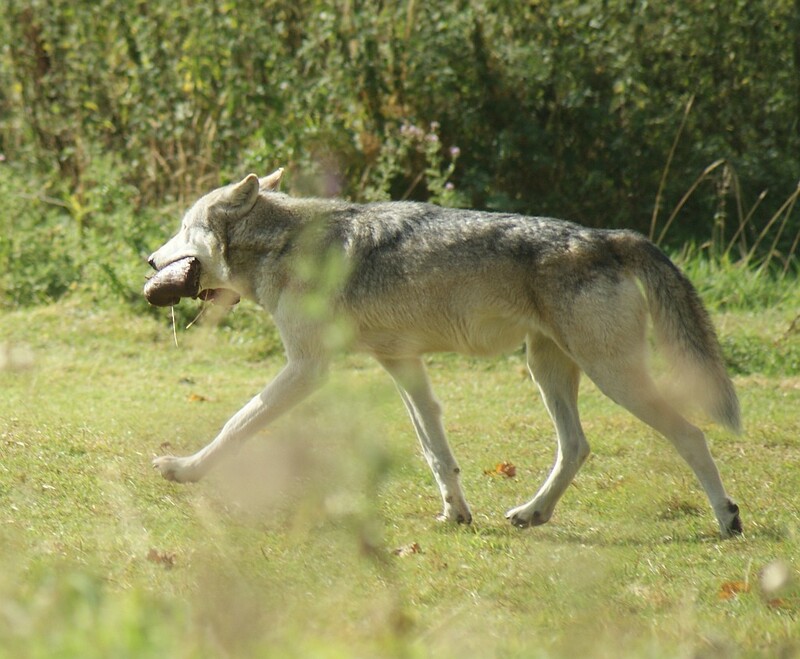 The wolf has just picked up its breakfast. The animals in this part of the park are fed on meat – it’s the carnivore enclosure. Red Kites are carrion feeders. Obviously the wolves and bears and lions leave enough scraps for the kites to feed on. They’ve found a regular source of food and are making the most of it, hence we’ve got a concentration of them in this small area, whilst my house (which is no distance at all away for a kite) gets relatively few.